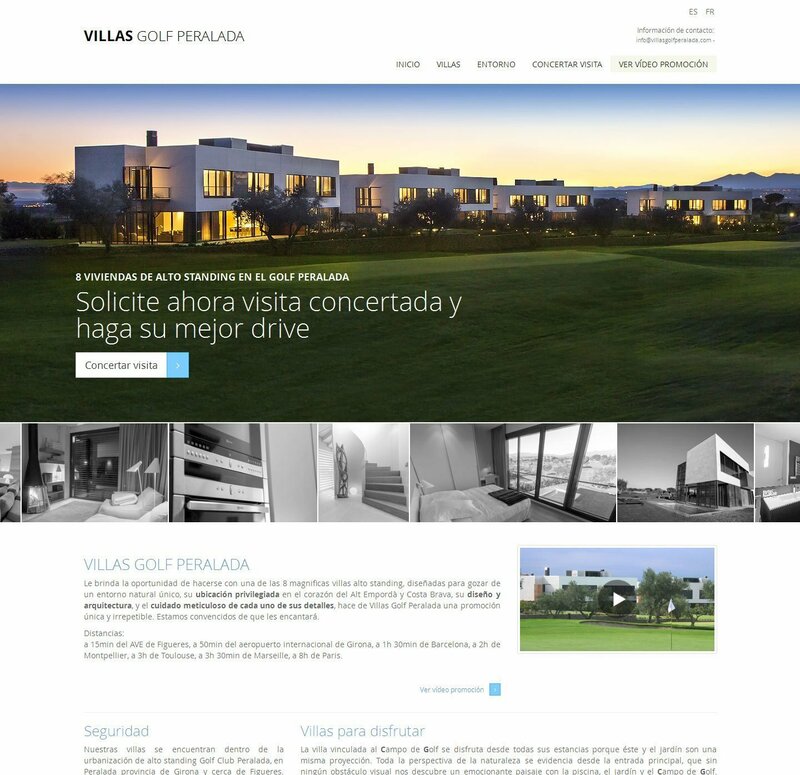 Development of a website for the promotion and sale of chalets of high standing in the urbanization Golf Peralada. 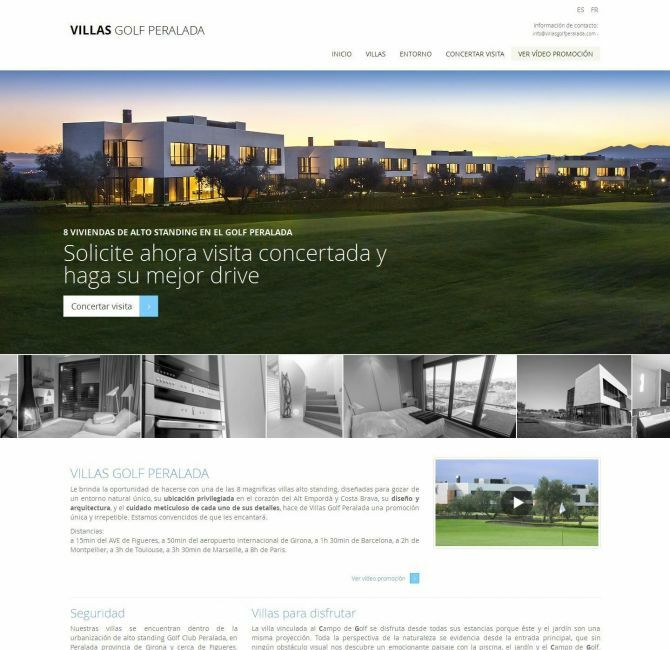 Creation of a space for complementary information on the commercial visit, with details, images and video of the houses. For this project, an exclusive, clean and sober design has been developed, which allows the visual content of the site to stand out above the rest of the elements. To ensure the quality of the images, the audiovisual production team of Ladeus made the photographs and promotional video of the towns. 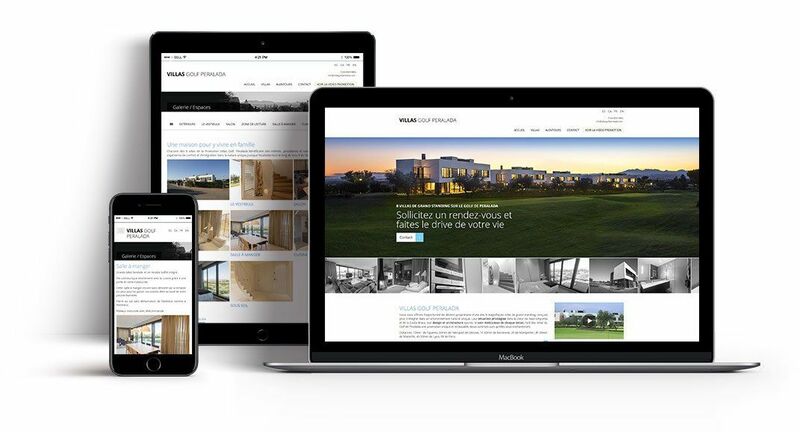 The website has been designed under responsive design criteria, so that the user experience is optimal on any device with an Internet connection.